What Is an AMP File? A file with the AMP file extension is an Adobe Photoshop Curves Map file created with Photoshop's Curves tool to modify a photo's RGB colors. AMP files used in Photoshop are extremely similar to Curve files that use the .ACV file extension, but are instead created by using a pencil tool to draw the curve instead of adjusting the curve by dragging it around on the screen. If your AMP file is unrelated to Photoshop then it could instead be an Alfresco Module Package file. These are compressed ZIP packages that are comprised of images, XML files, CSS files, and other data that's used to provide additional features to an Alfresco server. AMP is also used in other contexts like for Accelerated Mobile Pages and in the term "amp extension" (in regards to stereo amplifiers), but neither have anything to do with an AMP file format. AMP files can be opened with Adobe Photoshop using the program's Image > Adjustments > Curves... menu. Once there, choose the small button between the drop-down box and the OK button, and select Load Preset... to browse for the AMP file that you want to open. You'll have to change the Files of type: option to Map Settings (*.AMP) in order to see AMP files instead of ACV or ATF files (which are other file types you can open from this window). From this window is where you can also create an AMP file. By default, just left to the output section (with the line across the center), are two small buttons - a squiggly line and a pencil. If you choose the pencil icon, you can draw across the output screen to affect the colors of the image. Using the same small button described in the previous paragraph, you can choose Save Preset... to back up those custom settings to a new AMP file. Another way to open an AMP file is by placing it in Photoshop's installation directory under the \Presets\Curves\ folder. Doing this will list the AMP file along with the other presets in the Curves tool. This method is the best way to open multiple Photoshop Curves Map files at the same time. If your AMP file is instead an Alfresco Module Package file, you can install it to an Alfresco server with the Module Management Tool. Given that they're just ZIP archives, you could also use a free file unzip tool like 7-Zip to see its contents. You can read more about this particular format on the Alfresco Software website. There's a good chance that your AMP file is associated with Adobe Photoshop, but if not, or if a program other than the one you want to tries to open these files by default, see How to Change File Associations in Windows for help on making the change from one program to another. If any program were capable of converting AMP files, it'd be Photoshop, but it can not and doesn't need to convert these types of files. Just like ACV files, they're both used only with the Curves tool and therefore don't need to exist in any other file format. The same is true for AMP files that are used with the Alfresco software - since they're just packages of other files, we're sure they can not be saved to any other format. However, if the Alfresco software does support that, you'd find it a File > Save As menu or through some kind of Export option. Most file types, like Photoshop's own PSD format, can be converted using a free file converter, but again, there aren't any converters available for AMP files since there doesn't need to be. 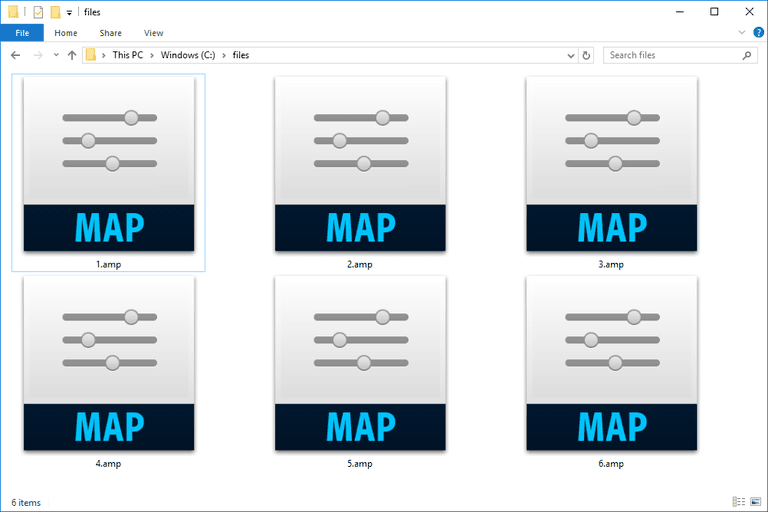 Some files have a very similar file extension and can seem like they open with the same program as AMP files because they're easily mistaken for an Adobe Photoshop Curves Map file. Pay close attention to avoid reading about the wrong type of file. For example, AMP files look awfully similar to AMR audio files, AMS Monitor Setup files, and AM4 AutoPlay Media Studio Project files, but none of them open in the same way as the others. The same is true for APM files, which are Aldus Placeable Metafile Image files. If your file isn't really an AMP file, research its actual file extension to learn which programs can be used to open or convert it.